There are few things that will give your tresses a better treatment than kalonji oil for hair. The oil is full of rejuvenating qualities for the hair, and it is really a remedy to a myriad of hair problems from hair fall to dryness and dandruff. Kalonji oil has long been known for its amazing hair-tonic qualities, and it is only recently that experiments and research have started to identify the factors that make it absolutely invaluable for the use. The concept of using kalonji oil for hair loss, thinning of hair or alopecia was introduced and started by Unani medicine, which indicates that the nourishing and hair-repairing qualities of black seed oil were known long before modern technology and chemistry could identify the exact nutrients that it possesses. It has soothing qualities which are why massaging your hair with kalonji oil is an exceptionally calming experience. 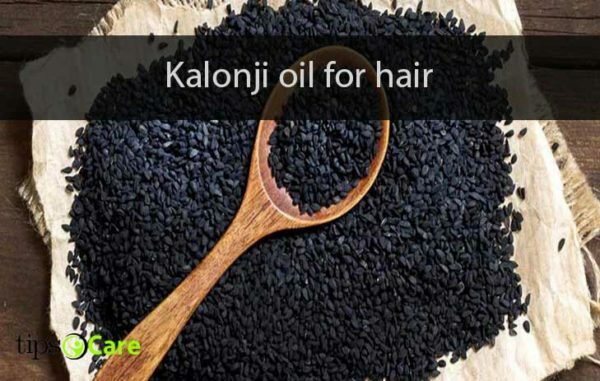 Here is a list of benefits that black seed oil will impact on your hair, and these benefits make the use of Kalonji oil for hair absolutely worth it. Hair growth can be speeded up with kalonji oil. The reason is that kalonji oil contains antihistamines. Antihistamine is prescribed to people suffering from hair loss or patchy baldness because to a certain extent, these drugs restart hair growth in these areas. Kalonji oil offers the same benefits but in a natural product. Black seed oil gives the same results for regrowth as chemical and medicinal alternatives. Whether you are aging and you would like to keep your hair in their youthful splendor or for some reason, your hair is graying at a young age, kalonji oil will offer you a remedy to all the actual causes of this graying. Black seed oil prevents the depletion of pigment proteins and chemicals from the hair follicles. The hair strands retain these pigments for longer and do not show graying. This effect is so strong that kalonji oil is in fact used by people suffering from vitiligo. The hair can only be as healthy as the scalp skin. If your scalp is nourished, and if it is receiving ample nutrition both from the blood stream and superficially from the outside, then you don’t have anything to worry about. On the contrary, excess oil secretion, dandruff or other similar issues will cause the health of your scalp to deplete over time. This will result in hair loss, graying of hair as well as patches of baldness to appear. Kalonji oil is also a great treatment for skin conditions like eczema, urticaria or psoriasis. It also has a lot of micronutrients including a variety of minerals and vitamins. Together, all these factors enhance your scalp and hair health. There are oxidizing agents and free radicals in the blood, which can cause a lot of trouble for your hair. These free radicals are reactive species which denature proteins and cause a widespread damage to hair follicles. Kalonji oil battles free radicals with antioxidants which neutralize free radicals and prevents damage to your hair. Your hair, in order to be healthy and strong needs moisture, and oils. Sebaceous glands of the skin do this task. 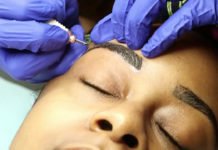 However, in many people, there is insufficient secretion of sebum either because the glands are less effective or because they have dense and thick hair. For these individuals, kalonji oil takes over from the sebaceous glands and keeps the hair from drying and breaking off. Although the above-mentioned are some amazing advantages of kalonji oil for hair, and they make it a priceless product, but the most renowned use of black seed oil is for hair fall prevention. Kalonji oil has been known for this property for centuries. The reason why it is so effective is because of more than a hundred nutrients and micronutrients, which ensure that your scalp metabolism and health is not compromised in any way. It strengthens hair follicles and nourishes the hair from the root up. There are a lot of ways that you can utilize kalonji oil for hair growth, and simply put, you can’t go wrong with any one of them, but the simplest and most common method of massaging your hair yields amazing results with no effort. Simply take two tablespoons of kalonji oil onto your palms, rub both hands to spread it evenly across your palms and fingers. Gently massage the scalp for about a minute. If you have alopecia or patchy baldness, then you should focus your massage towards the bald spots. 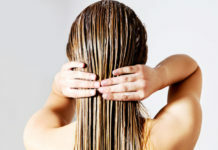 Leave the oil for about half an hour before washing your hair. However, if you want to make the most of kalonji oil, there are numerous mixtures with unique properties and advantages that you should be aware of. For example, mixing it with other oils e.g. olive oil maximizes the delivery of kalonji oil nutrients to the scalp with the help of the carrier oil. Our fast-paced lifestyle has motivated us to maximize our productivity, but the amount of stress that we are willing to take for our jobs and our daily life is also increasing. This is causing an increase in hair loss problems. Although there are innumerable medicinal remedies to the problem, some people prefer organic and natural products because they can be trusted easily. 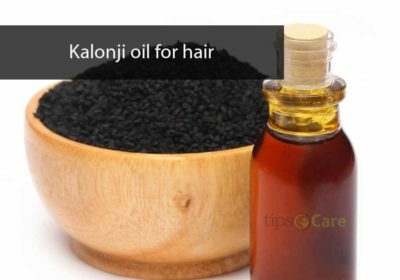 You should try kalonji oil for hair because of the above-mentioned wonders of this oil which is extracted from kalonji seeds.